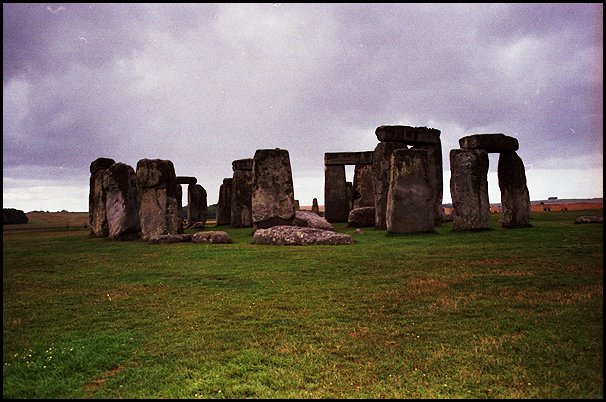 And a shot of Stonehenge looking like there’s no-one there. I took this when I worked as a tour guide for one weekend. I didn’t want to do it again after that. The day out at Stonehenge and Bath was fine. I wandered round Bath for a few hours after doing the brief tour of the town on the schedule, and the staff at Stonehenge made me a cup of tea and gave me biscuits and gave me a free audio guide to listen to. I think it’s funny that the path encourages you to walk round Stonehenge anti-clockwise while listening to a recording about superstitions, magic and myths as it’s traditionally supposed to be highly unlucky. I don’t think I’d pay to go to Stonehenge anyway. Maybe it’s different if you come from another country where they don’t have anything similar. The day in London involved calling the paramedics from a quay on the Thames, being shouted at by some Russian women because London is big and crowded until I cried, having a Turkish woman constantly phone me saying things like “I’m on a street with shops and a McDonalds. Where am I?” (answer: possibly anywhere in London) and getting stuck in the middle of a parade of some group called the Jesus Army who wore brightly coloured jumpsuits and blasted out tinny pop versions of hymns. I’m going to write about it for my zine at some point. It was memorably awful.